The second round of the 2019 FIBA World Cup Qualifiers takes place in mid-September (13-17). Nothing has changed, though, as many top stars will (once again) not play for their national teams. To start with, the second round of the 2019 FIBA World Cup Qualifiers consists of three windows (September, November, February). The first three teams from each group will secure their place in the 2019 FIBA World Cup. The competition will take place in China next year (31 August-15 September). Traditional powerhouses, like Greece, Spain, Team USA, and Argentina, are the favorites to advance to the Basketball World Cup. However, Slovenia, Croatia, and Italy have to turn things around in order to travel to China next summer. During the 2019 FIBA World Cup Qualifiers, the majority of the national teams has played without their key players. These players are skipping the matches, without facing any consequences. At the same time, many European and NBA teams are also prohibiting their players from playing qualification games for their national teams. Both the EuroLeague and the NBA stated that they will NOT support the new FIBA format for the Basketball World Cup qualifiers. The EuroLeague has repeatedly refused to collaborate with FIBA and change its calendar. 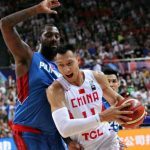 Such changes would let the players join the national teams for the 2019 FIBA World Cup Qualifiers. This situation has negatively affected the new format, which is generally of low interest and quality. Most European Basketball Federations do not have the authority to force their top players to play in the qualifying matches. Consequently, many team roster consists of mediocre players, who fight for the qualification to the FIBA World Cup. Because of this, many traditional powerhouses, including European champions Slovenia but also Italy, and Croatia are close to elimination. To make matters worse, neither the EuroLeague nor FIBA are willing to negotiate and solve their issues. Moreover, FIBA, the World Basketball Federation, has failed to convince the NBA to let the European players join their national teams. A year ago, FIBA executives thought the 2019 FIBA World Cup Qualifiers would increase fan interest. Concurrently, the qualifying rounds would allow every national team to fight for a spot in the FIBA Basketball World Cup. With that in mind, FIBA made it clear they wanted every player to participate. For their part, the EuroLeague had no intention to change their calendar, so the players couldn’t join the national teams. Moreover, the league’s CEO, Jordi Bertomeu, stated the competition couldn’t change the calendar, due to TV rights. Therefore, many players remained with their club squad, because the FIBA Qualifiers took place at the same day as the EuroLeague matches. Similarly, the World Basketball Federation failed to reach an agreement with the NBA. 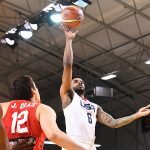 As a result, the league’s teams were not obliged to let their players participate in the 2019 FIBA World Cup Qualifiers. The NBA is the most powerful and lucrative organization in basketball. There is no doubt about it. So, their executives have repeatedly said that only the FIBA World Cup and the Olympic Games are top-tier competitions. Consequently, FIBA decided to not force their hand regarding the top European players and their non-participation in the FIBA Qualifiers. The irony is that the vast majority of the top-players did express the desire to play for the national team, but couldn’t. Their contractual obligations with their respective clubs and leagues have prevented them from doing so. Concurrently, they are of the opinion that the conflict between the FIBA and the EuroLeague is harmful to basketball. In addition, they have been critical of the 2019 FIBA World Cup Qualifiers and have for the large part skipped the matches. Moreover, many players dealt with injuries during the season. This is another reason to miss the 2019 FIBA World Cup Qualifiers. Because they need time during the off-season to fully recover and be at their best at the start of next season. Furthermore, many clubs don’t give permission for the players to compete, as they are afraid of any potential injuries. Despite all this, there is some light at the end of the tunnel. Because in the upcoming FIBA Qualifiers, though (September), the majority of the injury-free top Europeans will participate since their club season hasn’t started yet. 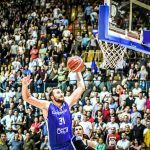 Key players, like Giorgos Printezis and Sergio Rodriguez, have left their club teams’ training camps and will play in the Qualifiers. However, there is always the risk of suffering injuries that could sideline them at the beginning of the club season. Once the new season starts there is no doubt that these players will miss the next two qualifying windows (November and February). Since they collide with the EuroLeague season schedule. As stated earlier, the World Basketball Federation has de facto accepted the non-participation of the top European players in the 2019 FIBA World Cup Qualifiers. The following examples are indicative of how complicated things have become, due to the FIBA World Cup windows. 1) Giannis Antetokounmpo and Nikola Jokic: They are the franchise players of the Milwaukee Bucks and the Denver Nuggets, respectively. With that in mind, it was unlikely the two teams would allow them to play in the Qualifiers. Regarding the “Greek Freak”, the new season will be of paramount importance for his team. The Bucks made many changes during the off-season (new coach, stadium, playing style) and want to have a breakout year. As a result, Antetokounmpo couldn’t miss the training camp and Milwaukee had no intention to let him play for Greece. For his part, Jokic became the Nuggets’ franchise player and leader, after signing a maximum contract extension during the off-season. Consequently, Denver didn’t let him compete in the upcoming matches. 2) Milos Teodosic, Boban Marjanovic, and Danilo Gallinari: The three players are under contract with the Los Angeles Clippers. The club didn’t allow them to join Serbia and Italy, respectively, due to the injuries they suffered during the season. Although they have recovered, the Clippers don’t see the 2019 FIBA World Cup Qualifiers. Instead as too much of a risk. Therefore, they rather see their three Euro players report to the Clippers training camp and prepare for the new season. 3) Marco Belinelli: The Italian sharpshooter initially wanted to participate in the Qualifiers, but ultimately chose to instead work hard during the off-season. Belinelli’s target was to be in the ideal condition for the San Antonio Spurs’ training camp. So, he decided to skip the Qualifiers and prepare for the new season in the NBA. For sure, he is inclined to play in China next summer, if Italy advances to the FIBA World Cup. However, Belinelli may change his mind and retire, following the comments that head coach, Romeo Sacchetti, recently made against him. 4) Luka Doncic: The 2018 EuroLeague MVP also wanted to play for the European champions, Slovenia, in the upcoming qualifying matches. However, the Mavericks made it clear they wanted him to stay in Dallas and prepare for the new season. The 19-year-old combo guard will have a central role in the squad’s tactics next year. Consequently, Dallas had no desire to let him play for the national team and help his teammates. Certainly, he will be available for the 2019 FIBA World Cup, if the 2017 European champions make it to China. 5) Bogdan Bogdanovic and Nemanja Bjelica: Both players will join Serbia in the matches against Greece and Estonia next week. Their presence in the Qualifiers, though, was questionable until the last moment, with Bogdanovic having just recovered from an injury. However, they were lucky that Vlade Divac and Peja Stojakovic were in charge of the Sacramento Kings. The two Serbian basketball legends were the ones that allowed both players to participate in the 2019 FIBA World Cup Qualifiers. Serbia’s head coach, Sasa Djordjevic, said Bogdanovic and Bjelica wouldn’t play if it wasn’t for Divac and Stojakovic. Last but not least, basketball fans have mixed emotions regarding the 2019 FIBA World Cup Qualifiers. The World Federation insists the Qualifiers will increase the fans’ interest and make the qualification more competitive. However, many basketball fans complain about the low quality of the matches and the conflict between FIBA and the EuroLeague. Their argument is that the current format prevents the top European players from playing for the national teams. These players are one of the main reasons for basketball fans to buy a ticket and watch the qualifying matches. At the same time, some basketball fans don’t seem to worry at all about the current situation. These fans usually come from countries that are not of the highest level, like Great Britain or the Netherlands. So, they are happy that their national team has the opportunity to fight for a place in the FIBA World Cup. 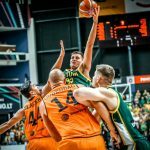 Overall, the 2019 FIBA World Cup Qualifiers continue to create controversy in the basketball world. Neither the EuroLeague nor the Basketball Federations are willing to work together and find a solution. As a result, things are expected to deteriorate. Unless Bertomeu decides to change the EuroLeague basketball calendar so players can play for their national teams. Alternatively, FIBA could consider a return to the old format. Then, the best national teams qualified automatically for the big competitions. That qualification was based on the teams’ classification in the previous competition. Under the new format, though, traditional powerhouses are on the brink of elimination. And, certainly, this is not what’s best for business. In a nutshell, the current FIBA qualifying format favors small countries without top-players. At the same time, traditional powerhouses have to play with second and third-tier players. 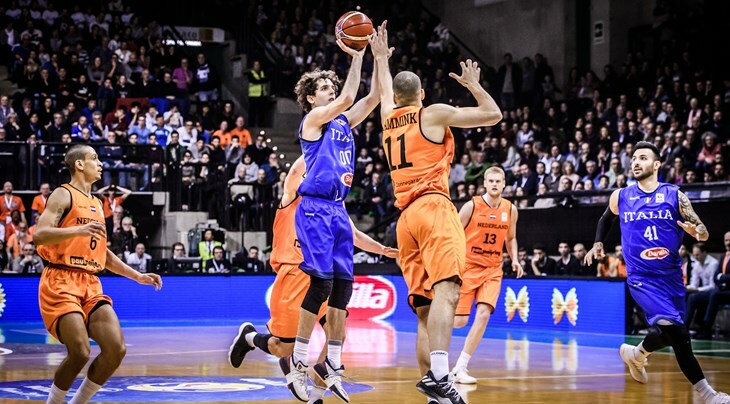 As a result, Slovenia (European Champion), Italy, Serbia, and Croatia may not qualify for the next FIBA World Cup.